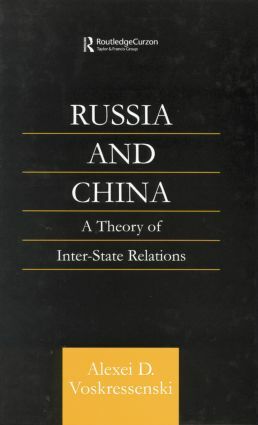 This study incorporates elements from the disciplines of international relations and history to address key international and domestic elements that have shaped the interactions between Russia and China over time. It demonstrates how changes in the inter-state relationship were, and are, initiated. Controversial issues are examined through previously unobtainable materials from sources including the Archives of Foreign Policy of the Russian Empire, the Archives of Foreign Policy of the Russian Federation and the Russian Centre for the Preservation and Research of the Documents of Modern History.